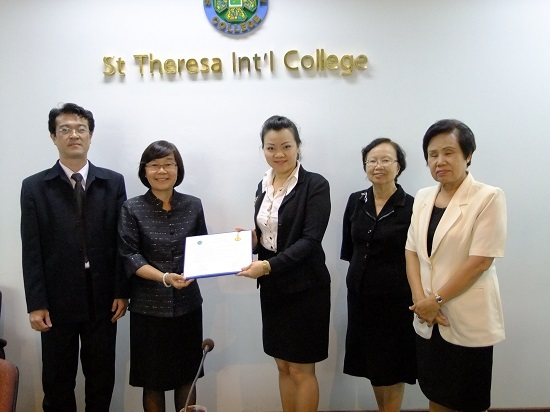 Dr Piyada Wattanasan, President of St Theresa International College, signed and exchanged the MoU agreement with the directors of 9 schools from the Ongkharak District, Nakhon Nayok province. 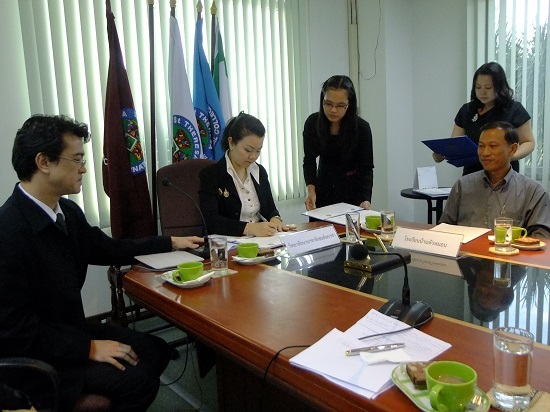 The signing ceremony was held in the STIC Maria Theresa Meeting Room on November 6, 2013. Witnessing the signing ceremony were Dr Chaipat Wattanasan, Vice President for Academic Affairs, Ajarn Photjana Piyapakornchai, Director of Policy and Planning Office, college and school staff. STIC President Dr Piyada said St Theresa International College (STIC) is proud to announce the signing of a Memorandum of Understanding as well as to cooperate on the project with the schools. STIC accepted the dual aim 7–week project of cooperation and partnered with the schools to promote education and training. The schools will develop an educational system in which STIC will provide English teachers to train and develop English skills for schools, and this will, in turn, enhance teacher prospects to further their studies. Dr Piyada graciously presided over the MoU Signing ceremony. It began with VDO presentation introducing about STIC, introducing STIC executives and school director. 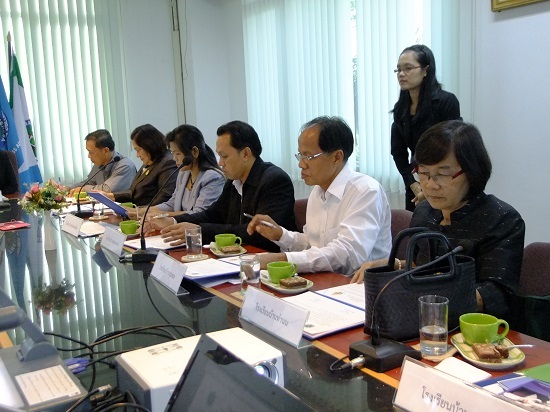 Asst Prof Dr Poonsook Kitratporn, Dean of Faculty of Humanities and Social Sciences, reported on the significance of MOU signing. President Dr Piyada delivered her speech, and was followed by a speech by Ajarn Wasinee Mukdokmai, the Head of Ongkharak School Unity Group.